Richard Fletcher was brutally beaten by the over two dozen teens after he went outside to ask two girls who were fighting on top of his truck to move along. 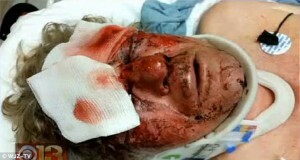 The teens broke his eye sockets, his nose, ribs and caused his brain to bleed. The youths filmed the brutal beating and posted it online. 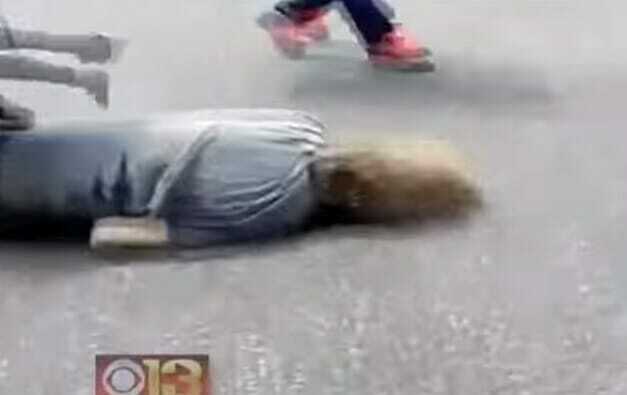 A 17-year-old boy has been charged as an adult for his role in beating a 61-year-old alongside a group of approximately 50 other teens in Baltimore, Maryland, on April 22. Richard Fletcher was brutally beaten by the teens after he went outside to ask two girls who were fighting on top of his truck to move along and continue their dispute elsewhere. The mob of teens began to hit and kick Fletcher until he fell to the ground, but the attack didn’t end. After the beating last month, Fletcher was left with broken eye sockets, a broken nose, broken ribs and a brain bleed, according to CBS Baltimore. He also needed a blood transfusion. Police have made two arrests in the case and are hoping to bring all of the teens, who are believed to be students at Baltimore Community High School, that participated in the beating to justice. Antoine Lawson has already been charged with attempted murder and a 15-year-old girl was charged with assault. Richard’s neighbor is hoping to raise money for Fletcher on a Go-Fund-Me page.